My girls love to draw. Unfortunately, God gave them a mother whose drawing prowess is limited to the creation of stick people. Though my stick people are quite fabulous, my girls need a bit more drawing instruction than I can provide. Since I’m in need of help, you can imagine how excited I was when Kathy Wilson contacted me to tell me about her website We Draw Animals. Kathy’s website is awesome! It features detailed drawing tutorials of over five hundred (yes 500!) amazing animals. Some animals are warm and fuzzy, like the panda, rabbit, and fox, while other animals, like the dolphin and shark, are wet and wild. Kathy even has tutorials for kids who love creeping crawling creatures such as snakes and spiders! You can have your children use the We Draw Animal tutorials for recreational drawing, but I plan to incorporate the artwork into our curriculum. 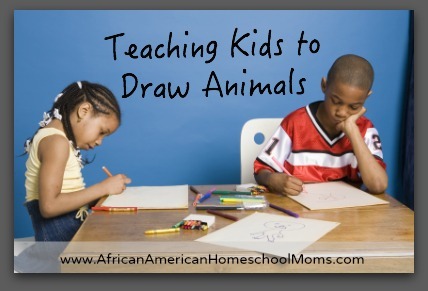 Our first unit study focuses on Egypt, so I’m planning to add her tutorials on African animals to my lesson plans. You might also choose to study animal habitats (tundra, dessert, tundra, grassland) and draw the animals that live in each habitat. 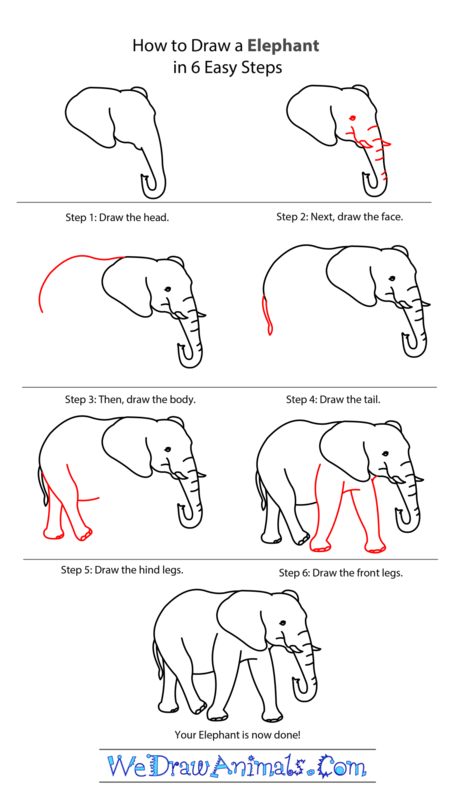 Check out Kathy’s easy to follow tutorial, How to Draw an Elephant in 6 Easy Steps. If you like what you see, head over to Kathy’s site for more tutorials and to download a free copy of her ebook.